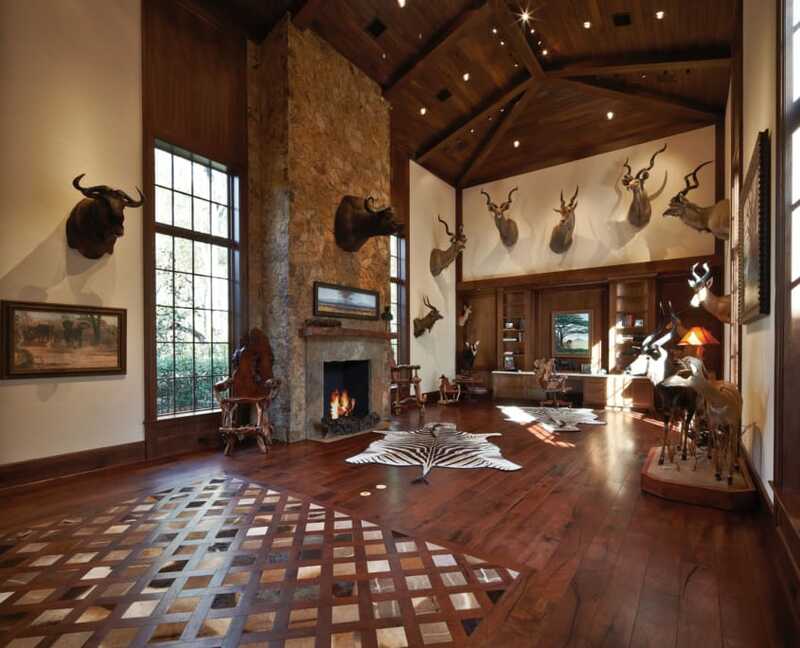 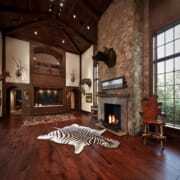 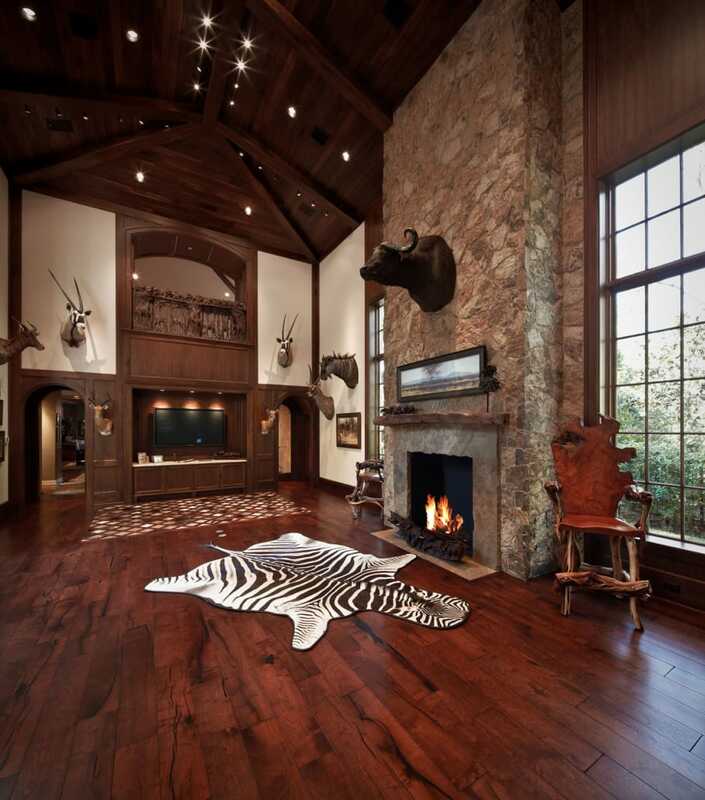 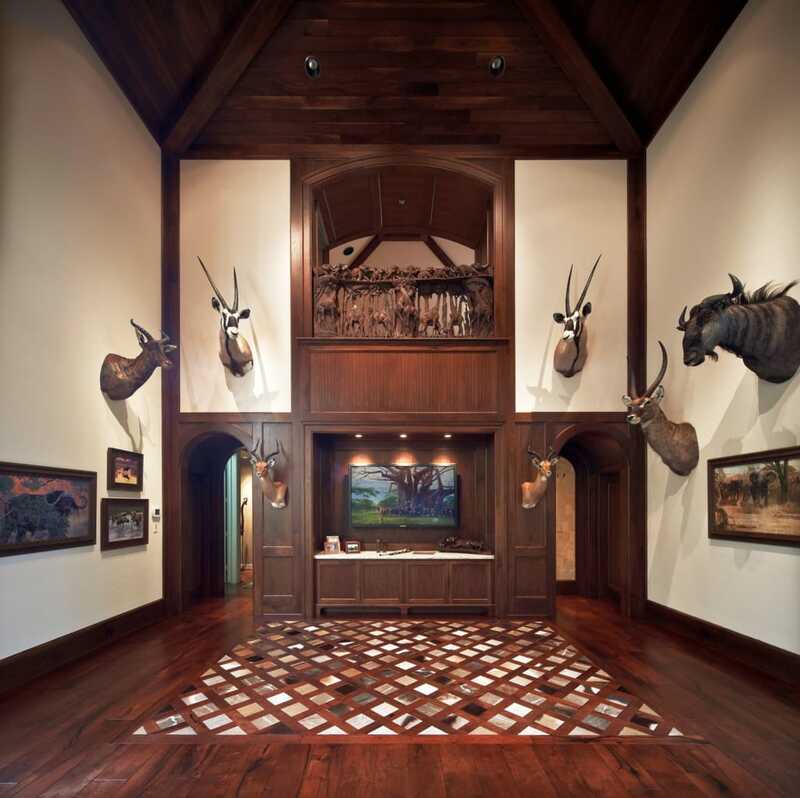 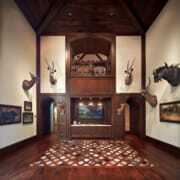 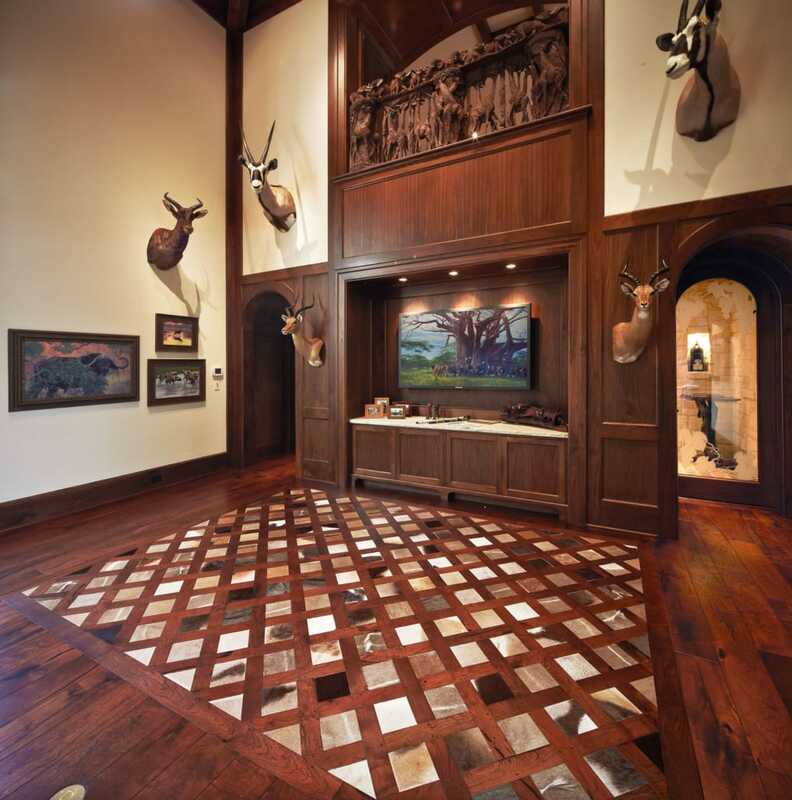 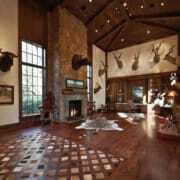 The owner of this dramatic room provided the hides that accent the mesquite plank floor to create an exotic African rug. 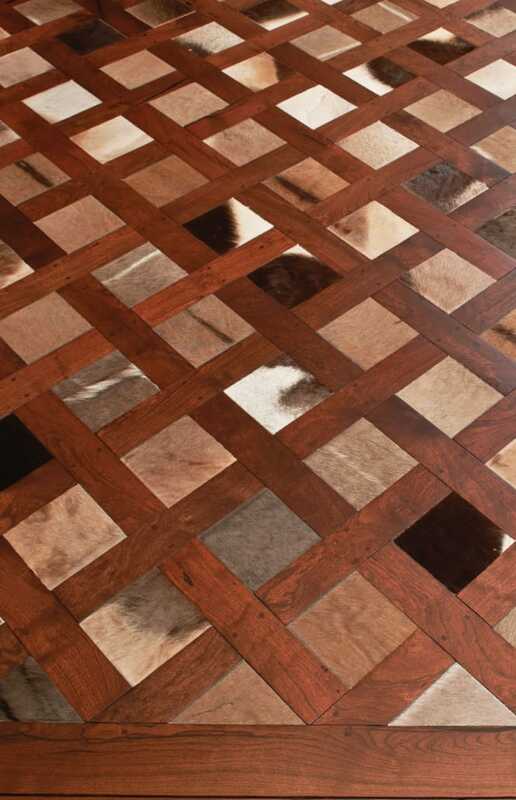 The hair-on hide inlays are interchangeable. 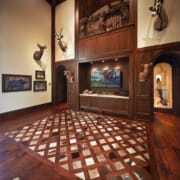 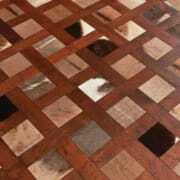 In fact, Schenck & Company created more inlays than can be featured at any one time, allowing the owner to change the mood and palette of the floor at whim.